China virtually doubled its car sales last month compared with the same month last year, and India's November sales rose 68%, both the biggest monthly increase in at least five years. The stunning increases underscore how fast the two emerging-market countries are modernizing and how the auto industry is shifting its focus to capitalize in the growth. By contrast, U.S. auto sales last month were unchanged from a year ago, Autodata reports. "China is the best story most automakers have globally," Bloomberg quotes Bill Russo, a senior adviser at Booz & Co., as saying. The company advises automakers and investors. "The challenge going forward is how to really tap the trends." Among those automakers doubling sales was General Motors and its local Chinese partners. India's sales increases reflected a growing economy in South Asia. Tata Motors was among the automakers that saw a big increase. Besides making the Nano, the world's cheapest car at about $2,500, Tata owns Jaguar and Land Rover. (Bloomberg) — Ai Li's Buick may help push China past the U.S. as the world's largest car market this year. That may be little consolation to General Motors Co. and Volkswagen AG as overcapacity in the country saps profits. Ai, a 30-year-old Beijing book editor, stopped saving for an apartment and bought a Buick Excelle in September, lured by a tax cut of 6,000 yuan ($880) for the car. "I wouldn't have bought the car if it wasn't for the tax breaks," Ai said. Government support has helped cause a 42 percent jump in China vehicle sales this year. The country is set to surpass the U.S. as the world's largest auto market and is drawing investment from Ford Motor Co., Hyundai Motor Co. and GM. Next year, growth will slow to less than 15 percent, according to Volkswagen and SAIC Motor Corp., threatening profit margins in an industry that can already build more cars than it can sell. "Automakers have been relying on surging sales growth to offset profit margins that are falling because of rising competition," said Jenny Tian, a Beijing-based partner at Springs Capital, which manages $160 million in assets. "That won't work next year." China's full-year auto sales may be about 13 million, compared with industrywide capacity to build 15 million vehicles, according to Booz & Co., which advises carmakers and investors in China. By 2015, output may reach 15 million, while capacity may be 20 million, according to Koji Endo, managing director of Advanced Research Japan in Tokyo. "Automakers need to make sure they have the right size and the right models in the China, otherwise they will be left with overcapacity and lower profits," he said. China's 100-plus automakers are wrestling with low margins because of competition and a preference for low-priced models. Carmakers get an average profit per vehicle of between $1,000 and $3,000 in China, depending on model size, compared with about $10,000 in the U.S., according to Endo. "There's a huge gap in profit between China and the U.S.," said Yale Zhang, a Shanghai-based director at CSM Asia, an auto consulting company. "It may take China three to five years to surpass the U.S. in terms of profit." About 20 percent of China's auto sales are low-cost commercial vehicles that sell for as little as $5,000, Zhang said. Automakers face possible overcapacity in China after expanding to offset sales slumps in the U.S., Europe and Japan. U.S. vehicle sales dropped 24 percent to 9.4 million in the first 11 months because of recession and rising unemployment, forcing General Motors Corp. and Chrysler LLC into bankruptcy. China vehicle sales rose to 12.2 million. Chen Bin, who oversees regulation of China's auto industry, also said in September that automakers should "keep their heads cool" to prevent excess expansion. China's auto subsidies and tax cuts, part of a 4 trillion yuan stimulus package that also includes measures for electronics, appliances and houses, were due to expire around the end of the year. That caused consumers to rush out to make purchases before the incentives ran out. "It's safest to buy now," Ai said about her Buick. The government today said it will extend vehicle subsidies and tax cuts until the end of 2010. Trade-in subsidies will be increased to as much as 18,000 yuan, Premier Wen Jiabao said instatement posted on the government Web site. Tax cuts will be reduced. Vehicles with engines of 1.6 liters or less will be taxed at 7.5 percent next year, compared with 5 percent this year and 10 percent before the stimulus measures were introduced. "In the short term, because of the tax incentives, there is some cannibalization now of future sales" in China, said Yoichi Hojo, Honda Motor Co.'s chief financial officer. Bayerische Motoren Werke AG, the world's largest maker of luxury cars, said last month it plans to build a new factory in China to meet rising demand for premium products. The 5 billion yuan plant will have an initial capacity of 100,000 vehicles a year by 2012, eventually rising to 300,000. Daimler AG Chief Executive Dieter Zetsche has said he aims to surpass BMW in the country and then supplant Volkswagen AG's Audi as the Chinese luxury-car leader. Mercedes 10-month sales in China surged 48 percent to 53,300 vehicles. Audi delivered 123,400 cars to Chinese customers during the same period. BMW sold 72,000 cars in China in the first 10 months of the year. In the U.S., auto sales fell 23 percent in September after the government's "cash for clunkers" incentive plan ended Aug. 24. The program boosted August sales 1 percent from a year earlier, the first monthly increase since 2007. Honda hasn't made any decision about whether to add new plants in China, Hojo said. The Tokyo-based company is running at full capacity of 550,000 vehicles a year in China, he said. "In the long term, car sales in China will grow faster than GDP growth," he said. China, home to 1.37 billion people, may boost its economy 9 percent next year, according to the International Monetary Fund. The nation has 38 vehicles per 1,000 people, less than a third of the world average. Other carmakers are pushing ahead with expansion plans. Ford and local partner Chongqing Changan Automobile Co. began work on a third car plant in September. GM, the biggest overseas automaker in China, said in August that it will form a commercial vehicle-making venture with China FAW Group Corp. Volkswagen, ranked second, plans to invest 4 billion euros ($5.9 billion) in the country by 2011. "If you establish something now, the worst that can happen is you have to wait a year or two" before demand catches up to capacity, said Joerg Mull, Volkswagen's chief financial officer for China. Seoul-based Hyundai is planning to build a third Chinese factory as it aims to boost local capacity by 50 percent to 900,000 vehicles a year by 2011. Toyota Motor Corp. has said it intends to raise production capacity in China to 970,000 vehicles a year from about 803,000. "We are not going to see overcapacity in China," said John Zeng, a Shanghai-based analyst at IHS Global Insight. "They're anticipating the growth trend." While growth may come, the surging investment in China may outpace sales, leaving automakers slashing prices to keep assembly lines moving, said Bill Russo, a Beijing-based senior adviser at Booz & Co.
"That's the risk in China," Russo said. "Supply seems to be going up in excess of demand." The figure for car sales in China for November was up 98 per cent on the previous year. As reported yesterday by the Chinese Association of Automotive Manufacturers (CAAM), the previous month saw sales of 1.04 million cars, off-road vehicles and minivans. Total vehicle sales for the country, including trucks and coaches, rose by 96 per cent in November to 1.34 million. The reasons behind the strongest increase in sales for at least five years were the economic programmes being pursued by the Chinese government, which have deliberately increased demand for cars. The claim is that China is therefore set to take over from the USA, even during this year, as the world’s biggest market for cars. For the past five months already, car sales in China have been climbing by over 50 per cent, while sales in the US, Japan and Europe have slumped. In India too, the increase in car sales in the past month is at a level not seen in the previous five years. One factor in stimulating growth in China is the 4000 billion Yuan (€ 397 billion) in government spending this year. The country is the world’s third-largest economy. And the economic measures aimed at increasing car sales include a reduction in VAT from ten to five per cent. Moreover, subsidies totalling 10 billion Yuan are also intended to assist with sales. Now economic growth is set to ensure a further increase in sales. Last month the OECD (Organisation for Economic Co-operation and Development) raised its prediction on economic growth in China for this year from 7.7 per cent to 8.3 per cent. For 2010, the OECD is forecasting 10.2 per cent growth in the Chinese economy. Calculations by the financial news agency Bloomberg, based on the figures quoted by CAAM, indicate that the two biggest local companies in which General Motors has a stake increased their sales last month by 105 per cent. Beijing Hyundai Motor, a partnership between Beijing Automotive Industry and the South Korean car manufacturer Hyundai, doubled the number of cars sold, to 55,576. The two companies in which VW has a stake increased sales by 58 per cent, to 130,525 vehicles. Dec. 9 (Bloomberg) -- Ai Li’s Buick may help push China past the U.S. as the world’s largest car market this year. That may be little consolation to General Motors Co.and Volkswagen AG as overcapacity in the country saps profits. The subsidies have helped cause a 42 percent jump in China vehicle sales this year. The country is set to surpass the U.S. as the world’s largest auto market and is drawing investment from Ford Motor Co., Hyundai Motor Co. and GM. Next year, growth will slow to less than 15 percent, according to Volkswagen and SAIC Motor Corp., as subsidies end, threatening profit margins in an industry that can already build more cars than it can sell. China’s full-year sales may be about 13 million, compared with industrywide capacity to build 15 million vehicles, according to Booz & Co., which advises carmakers and investors in China. By 2015, output may reach 15 million, while capacity may be 20 million, according to Koji Endo, managing director of Advanced Research Japan in Tokyo. “Automakers need to make sure they have the right size and the right models in the China, otherwise they will be left with overcapacity and lower profits,” he said. Volkswagen, the second-biggest foreign automaker in China, is in talks to form an alliance with Suzuki Motor Corp., a person familiar with the matter said. Both companies declined to comment on a possible tie-up. China’s 100-plus automakers are wrestling with low margins because of competition and a preference for low-priced models. Carmakers get an average profit per vehicle of between $1,000 and $3,000 in China, depending on model size, compared with about $10,000 in the U.S., according to Endo. About 20 percent of China’s auto sales are low-cost commercial vehicles that sell for as little as $5,000, Zhang said. Chen Bin, who oversees regulation of China’s auto industry, also said in September that automakers should “keep their heads cool” to prevent excess expansion. China’s auto subsidies and tax cuts are due to expire around the end of the year as the government completes a 4 trillion yuan stimulus package that also includes measures for electronics, appliances and houses. The end of the support measures may cause a slowdown in auto sales. Ai bought forward plans to buy a car because of the incentives. “In the short term, because of the tax incentives, there is some cannibalization now of future sales” in China, said Yoichi Hojo, Honda Motor Co.’s chief financial officer. Bayerische Motoren Werke AG, the world’s largest maker of luxury cars, said last month it plans to build a new factory in China to meet rising demand for premium products. The 5 billion yuan plant will have an initial capacity of 100,000 vehicles a year by 2012, eventually rising to 300,000. Daimler AG Chief Executive Dieter Zetsche has said he aims to surpass BMW in the country and then supplant Volkswagen AG’s Audi as the Chinese luxury-car leader. In the U.S., auto sales fell 23 percent in September after the government’s “cash for clunkers” incentive plan ended Aug. 24. The program boosted August sales 1 percent from a year earlier, the first monthly increase since 2007. China may consider extending some auto tax cuts, Ministry of Industry and Information Technology spokesman Zhu Hongren said last month. GM and Ford have both said they expect the government to offer some support next year to prevent a slump. Honda hasn’t made any decision about whether to add new plants in China, Hojo said. The Tokyo-based company is running at full capacity of 550,000 vehicles a year in China, he said. “In the long term, car sales in China will grow faster than GDP growth,” he said. Other carmakers are pushing ahead with expansion plans. Ford and local partnerChongqing Changan Automobile Co. began work on a third car plant in September. GM, the biggest overseas automaker in China, said in August that it will form a commercial vehicle-making venture with China FAW Group Corp. Volkswagen, ranked second, plans to invest 4 billion euros ($5.9 billion) in the country by 2011. “If you establish something now, the worst that can happen is you have to wait a year or two” before demand catches up to capacity, said Joerg Mull, Volkswagen’s chief financial officer for China. If China is going to build on its growth, it's going to need an industrial policy that backs it up instead of holding it back. The common perception of China relying on industrial policies to make its economy successful is just an illusion," says Fan He, assistant director of the Institute of World Economics and Politics at the Chinese Academy of Social Sciences. "If industrial policy works, it's mainly at the local level." Industrial policy is sometimes shorthanded by its critics as "picking winners" -- essentially, it's government intervention to build certain industries by offering incentives and shielding them from foreign competition. Japan's industrial policy of the 1970s and 1980s, which was later copied by South Korea and Taiwan, is among the most studied recent examples. But if the goal of traditional industrial policy is to invest in companies and turn them into global dynamos, China has a long way to go. More than half of Chinese exports are made by companies with significant foreign investment. Although Lenovo and Haier have made laudable strides overseas, Beijing has yet to produce a truly international brand along the lines of Japan's Sony or Toyota. And it has struggled to consolidate its automotive, steel, aluminum, and coal-mining industries. Take cars, for instance. Although the government has been guiding the development of the automotive sector for at least two decades, more than 80 percent of industry revenues still come from joint ventures where the management expertise and technology is provided by foreign companies such as Shanghai Volkswagen, FAW-Volkswagen, and Shanghai GM, according to Arthur Kroeber, managing director of the consultancy Dragonomics. Despite government support for state-owned enterprises, the most-aggressive, fastest-growing automotive companies in China are the independents -- companies with entrepreneurial leaders like Chery, Geely, Great Wall, and BYD, says Bill Russo, senior advisor at Booz & Co. It's not that Beijing has done everything wrong. For one, its tight management of the currency has enhanced its global competitiveness, to put it mildly. The government has also managed to keep costs down for manufacturers by offering cheap capital through the banks and allowing state-run companies to dominate key sectors such as telecommunications and electrical-power generation. But currency control and cheap capital do not a winning industrial policy make. Since the 1980s, the overarching goal of Chinese industrial policy has been rapid economic growth through industrialization -- a strategy that mirrors those of South Korea and Japan in earlier years. Like its neighbors once did, China singles out strategic industries, including the automotive, semiconductor, aerospace, oil, and petrochemicals sectors, sets goals for their development, encourages banks to provide financing, and introduces policies to encourage their growth, including those on foreign investment. These policies essentially send a message to industry: Here's what we want to promote. "China's industrial policies are mainly trying to balance between different sectors," explains He of the Chinese Academy of Social Sciences. But what sets China apart is the way it has implemented this policy. Where South Korea and Japan ruled from the top, in China, industrial policy is decentralized and sometimes even chaotic. Jack Perkowski, a former Yale University offensive lineman who founded an automotive components company in China in 1994, compares traditional industrial policy with football: The coach drafts plays, and the players execute them. Chinese industrial policy is more like soccer: free-flowing. "It's kind of the players on the field that are making up the rules, that are making up how the game is played, not the coach," he says. "The coach is staying on the sidelines hoping his team will win." China's official coaches do more than hope. The problem for everyone else is, it's not always clear who they are. Unlike with Japan in the 1960s and 1970s, where the leadership of the Ministry of International Trade and Industry was well established and industrial-policy watchers had a good sense of who was pulling the strings, Beijing-watchers are still debating who actually makes Chinese industrial policy, in part because of a lack of transparency in the policymaking process, but also because people in so many parts of the government seem to have a say. The National Development and Reform Commission, a government agency that is part of the State Council and oversees economic development, obviously plays a role, but other government departments weigh in as well. What is clear is that foreign direct investment, private entrepreneurs, and local government initiatives, rather than traditional industrial policy, are key drivers of economic growth. Southern China's Pearl River Delta is one good example. Starting in the 1980s, regional authorities used incentives like preferential tax rates and discounts on land to lure foreign investors, many of them from Hong Kong and Taiwan, to the region, which was then farmland. Beijing did establish special economic zones to serve as incubators of capitalism, but it also loosened the reins by giving the region more freedom to set its own wages and prices. Foreign investors provided jobs and technology to local firms through joint ventures. Other times, local firms illegally copied or reverse-engineered foreign technology. Wages stayed low because workers were coming in constantly from the countryside and local officials didn't enforce labor laws consistently. Private entrepreneurs poured into the region, creating a competitive frenzy that produced prices so unbeatably low they became known simply as "the China price." Today, the delta is the world's largest consumer electronics production hub, an agglomeration of factory towns to end all other factory towns. Home to the world's largest plant with some 270,000 workers, a prominent electric car producer, and the country's largest telecommunications equipment company, it produces a third of China's exports. But the delta's success is just one element of China's industrial policy. Elsewhere, China has used foreign investment as a shield to protect domestic companies. By limiting ownership in car assembly operations to 50 percent, China allowed its companies access to foreign technology while guarding them from the full force of international competition -- a strategy Eric Thun, a lecturer at Oxford University, calls "industrial policy on the cheap." According to the Chinese government's road map, however, the foreign joint-venture partners should have provided their Chinese counterparts the technology and management savvy to produce best-selling cars under their own brands. So far, that hasn't happened. But the problem runs even deeper than that: Current industrial policy isn't making the Chinese economy more balanced, which is precisely what Beijing and the rest of the world want to see happen. China's industrial policy, like Japan's over the past three decades, favors people who make things over those who consume them. The People's Bank of China keeps interest rates low to provide financing for producers, at the expense of households, whose effective return on deposits over the past decade has been a measly 0 to 2 percent, according to Daniel Rosen, principal of New York-based consultancy Rhodium Group. China's industrial policy "takes care of borrowers, but what about the people whose money it is in the first place?" Rosen asks. This adds to the imbalances in both the Chinese and global economies by making Chinese consumers worse off, so they're more likely to save their money instead of spending it. By the same token, limited wage growth in areas like the Pearl River Delta enhances China's competitive advantage as an exporter, but it, too, hinders growth in consumer spending. Low interest rates also exacerbate many industries' overcapacity problem by making it cheap for manufacturers to borrow. As Beijing tries to redirect its economy away from labor-intensive exports toward one that relies more on high technology and domestic consumption, it will have to find good answers to questions like Rosen's. Going forward, it will be crucial for China to relax its grip over sectors such as health care, education, and telecommunications and channel more loans to private companies. And perhaps, as Massachusetts Institute of Technology's Yasheng Huang and others argue, China needs to allow its currency to appreciate not only to stop distorting its economy and global trade balances, but also to encourage innovation. As for all those Beijing-watchers falling sway to the current fascination with all things China and contemplating making a little industrial policy of their own, the relevant lesson is clear: Better look under the hood first. Dec. 8 (Bloomberg) -- China’s passenger-car sales surged 98 percent last month, the most in at least five years, as government incentives spurred demand in an auto market poised to surpass the U.S. as the world’s biggest this year. Sales of cars, sport-utility vehicles and minivans rose to 1.04 million last month, according to the China Association of Automobile Manufacturers. Total vehicle sales, which include trucks and buses, rose 96 percent to 1.34 million. China’s passenger car sales have jumped more than 50 percent for five straight months, making the world’s most populous nation a bright spot after sales in the U.S., Japan and Europe tumbled. Car sales in India also rose the most in more than five years last month as the global economy rebounded from the recession that began last year. General Motors Co.’s two main local ventures boosted sales 105 percent last month to 161,115 units, according to a Bloomberg calculation based on the association’s numbers. Beijing Hyundai Motor Co., a venture between Hyundai Motor Co. and Beijing Automotive Industry Holding Co., more than doubled sales to 55,576. Volkswagen AG’s two ventures increased sales 58 percent to 130,525, according to the association. BYD Co., which is backed by Warren Buffett, climbed 133 percent to 50,650 units. For the first 11 months, nationwide vehicle sales rose 42 percent to 12.2 million, with passenger-car sales surging 49.7 percent to 9.23 million. Four trillion yuan of government spending and $1.3 trillion of new bank lending this year have helped revive growth in China, the world’s third-largest economy. Stimulus measures aimed at auto sales included cutting a 10 percent sales tax to 5 percent and 10 billion yuan of subsidies to help consumers buy and upgrade vehicles. The Organization for Economic Cooperation and Development last month raised its forecast for economic growth in China this year to 8.3 percent from 7.7 percent. Growth will accelerate in 2010 to 10.2 percent, the OECD said in a report. India’s passenger car sales rose 61 percent last month to 133,687 units, theSociety of Indian Automobile Manufacturers said in a statement in New Delhi today, as cheaper loan rates and economic expansion lifted demand for Maruti Suzuki India Ltd. hatchbacks and Tata Motors Ltd.’s Nano. India’s economy expanded at the fastest pace in 1 1/2 years in the quarter ended September, helped by record-low interest rates and an economic stimulus. China, Japan, and the U.S. are among countries that offered a mix of credits, tax breaks and subsidies to boost auto sales by getting consumers to trade in old cars for newer, more fuel- efficient models. Industrywide sales in the U.S. totaled 746,928 units in November, compared with 746,789 a year earlier, according to Woodcliff Lake, New Jersey-based Autodata. 2010 China Auto Sales: Robust or Bust? 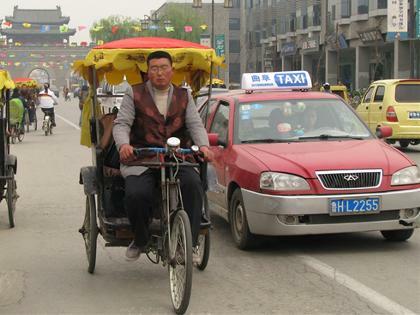 The year 2009 was a year of tremendous historical significance to the China auto industry. Triggered by the global financial crisis, the global automotive industry witnessed a year of unprecedented restructuring, as many industry icons struggled for their survival. After peaking in 2007 at 70 million units, the global automotive markets have experienced a contraction of nearly 10 million units over the past 2 years. The mature “triad” markets of North America, Western Europe, and Japan have led this decline. China is the noteworthy exception. In 2009, China will easily surpass the US in total car sales to become the world’s largest automotive market. China’s vehicle sales will surpass 13 million units – approximately 3 million units more than the second largest market, the United States. To highlight how fast things have changed, auto sales in 2009 will be about the mirror image of sales in these same markets in 2008, when the US sold a little over 13 million versus China’s 9.7 million units. While it may not be apparent to the rest of the world, these initiatives are accelerating not just China’s economic development – they are also accelerating the transformation of the automotive business model, as global auto makers shift their focus to the growth markets, led by China. The astonishing growth in car demand is a direct result of many factors that are fueling China’s economy. This includes aggressive tax cuts as well as a significant investment made in the development of the infrastructure to support transportation. The China government views the automotive industry as a “pillar” of its economy since it brings technology, jobs and investment to the economy. As such, several agencies of the China government play an active role in sponsoring initiatives to further stimulate automotive development and growth. Driven by the onset of the global financial crisis, the Automotive Industry Stimulus Plan published in early 2009 took specific measures designed to spark the growth of consumer demand. Measures including the reduction of sales tax for cars below 1.6L engine displacement, along with subsidies for new minibus or light truck sales for rural residents have accelerated the auto market expansion particularly in China’s lower-tier cities, helping to boost the performance of the manufacturers of these smaller vehicles. While aggressive tax cuts and subsidies have been behind much of the demand growth in 2009, the question now turns to whether this robust demand growth can be sustained in 2010. While very few expect a repeat of the 45% growth experienced this year, most auto executives believe that the fundamentals are there for growth to push sales up at least 10 percent in 2010 even without the incentives. A key reason for continued growth is the rapid development of China’s lower tier cities. While China’s explosive automotive growth has been most evident in the Tier 1 cities, it is important to note that the trends of urbanization and growth of per-capita GDP will continue into the foreseeable future. As these factors are directly linked to the growth in demand for automobiles, one can expect a continuation of growth next year and thereafter. Urban wealth accumulation is undoubtedly fueling the growth in automotive sales. The fact that 85% of all vehicles are sold to urban residents is a clear sign of the relationship. There is no mistaking the trend of permanent migration of rural population to existing urban areas. Looking forward, it is expected that nearly two-thirds of China’s population will be in urban areas by 2020. This represents a whopping rise in urban population of nearly 200 million people in just over 10 years. Essentially, China creates the population-equivalent of a city of between 1.5 – 2 million people each month! It is no wonder why China’s cities are continually under construction. Independent of whether stimulus measures are extended, it is likely that next year’s demand will likely shift to from an “exponential” to “stable” path. As income levels continue to rise, demand may begin to shift towards vehicles and segments offering more appealing content and features, which may create opportunities for manufacturers to improve their product mix. While many Vehicle Manufacturers have reported robust sales in 2009, what may not be understood or appreciated among those who are observing the growth in sales is that this is a market where quantity of sales should not be confused with quality of sales. 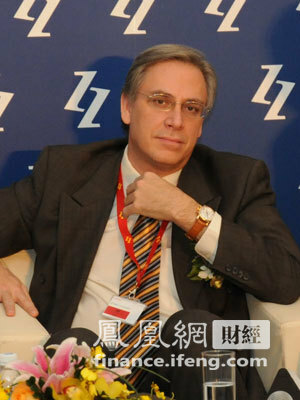 The China market is now experiencing what many companies doing business globally have come to call “hyper-competition”. Early-movers in the China market such as Volkswagen and General Motors have enjoyed significant profit margins by occupying mid-size, full-size and MPV segments without a great deal of competition. In such a market environment, strong profits could be made on products such as the VW Santana and the Buick GL8 minivan – older technologies that dominated their segments with good margins. However, today’s China market no longer offers such an easy road to profitability. Virtually every major vehicle manufacturer is now present in the China market. A recent J.D. Power & Associates study has reported that many of the cars sold in 2009 were in low-end segments that are eligible for tax incentives and that many of these cars earn the manufacturers as little as $100 each. However, hyper-competition actually began several years ago, with the onset of a phenomenon called “net negative pricing”. The future outlook is that local brands and international brands will install more capacity in China, placing even more pressure on pricing in order to increase capacity utilization. Weak brands and older models will become the first casualties as market and competitive forces squeeze them out. The competitive battle can only be won with strong brands and contemporary models that can be delivered profitably to savvy Chinese consumers with choices that demand a competitive price. In 2010 we can expect to see even more intense competition among the foreign and domestic brand vehicle manufacturers as they attempt to capture growth opportunities in China. As this is happening, the local manufacturers will strive to upgrade their brands and product portfolios to meet the more upscale image aspirations of Chinese consumers. The dramatic shifts that have occurred over the past year in the structure and brand portfolios of the vehicle manufacturers are simply the early stages of a process of asset reallocation and global realignment that will unfold over many years. These trends are reshaping the brands, products and global footprint of those who hope to prosper in the 21st century automotive industry. Indeed, China has taken center stage in the battle for global auto industry dominance.